At HubSpot, like at many organizations, we’ve built our own sales talent. We hire new graduates into business development representative roles (BDR) which we often then promote to account executives (AE), usually after 18-24 months in the role. Even when we hire AEs from outside of the organization, they usually only have just two to three years of work experience -- sometimes not even in sales. I wish I knew about these types of jobs when I graduated college. New appointment setting salespeople have to earn their stripes (often making around $50k/year in most metros in the US) , but after just a few short years, good salespeople can earn hundreds of thousands of dollars annually. Given that the median household income in the US in 2013 was $51,939, sales is clearly a path to above-average incomes early in one’s career. But most sales jobs aren’t easy. Unfortunately, many new salespeople don’t last very long. In the 2015 edition of their annual survey, The Bridge Group found that average annual rep turnover rate (excluding promotions) at 234 software-as-a-service companies is 34%, with involuntary turnover making up almost two-thirds of that number. In order to succeed, a salesperson must have the raw strengths and be willing to overcome their sales weaknesses. But most importantly, they must embrace learning and continuous improvement. The first years in particular require an intense commitment to learning and improving, not to mention a whole lot of hard work and hustle. So, how do you know if you have what it takes? When I interview salespeople, one of the things I often ask is “What’s the last thing you learned and how did you learn it?” Ideally, the candidate learns in multiple ways including: seeking out a mentor, acting on advice from a manager, reading a book, reading blogs regularly, taking a course, trial and error, practice and repetition, etc. I find that people who learn in multiple ways are much more likely to thrive in a fast-paced and complicated sales environment. So I’m always amazed when I speak with salespeople who haven’t ever read a sales book. Doctors read journals all through their lives. Accountants, teachers, policemen, and machinists -- they all read and study in order to stay on top of their profession. 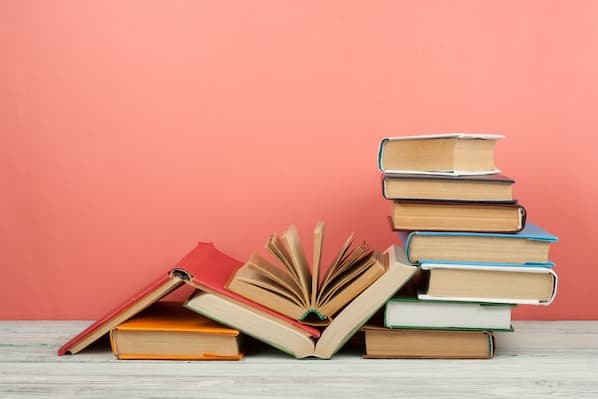 If a salesperson hasn’t read one, it’s not a show-stopper, but it’s certainly a huge plus when a sales job candidate can share their takeaways from their favorite sales book and how they applied these lessons in their last sales position. The issue with sales books is that there are a million of them. Some aren’t suitable for new salespeople as they cover more advanced topics, or don’t really relate to someone new in sales. 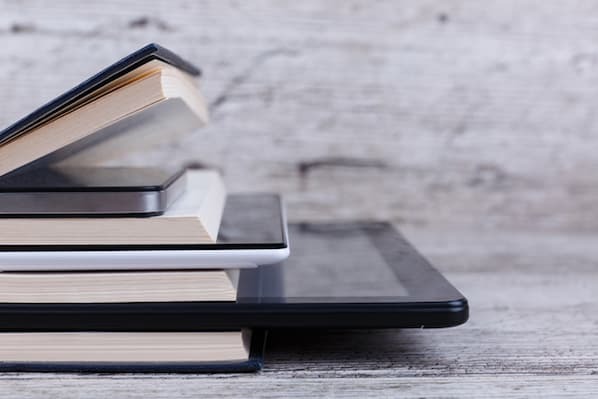 Here are the three books I recommend to new salespeople along with an explanation of why. I recommend them in this order. Personally, I think this is a fitting name for the book. 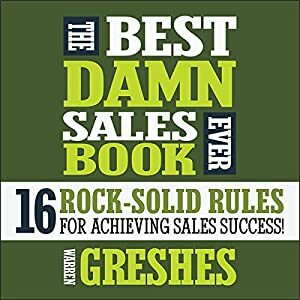 In Warren Greshes’ The Best Damn Sales Book Ever: 16 Rock-Solid Rules for Achieving Sales Success!, he lays out everything a new salesperson needs to hear in order to adopt the right mindset about selling. Greshes discusses developing the right attitude, the importance of being committed to success in sales, being confident in your ability to deliver value, and how to motivate yourself. The first half of the book acts like a step-by-step workshop helping new salespeople create plans that will help them achieve the success they desire. It’s easy to understand, but even easier to implement immediately. In the latter part of the book, Greshes talks about how to approach and influence prospects by selling more than just your product or service, and truly focusing on the value it delivers. He talks about the importance of really knowing what a customer wants and what makes them tick, as well as why it’s critical to become an expert so that customers see you as a resource, and ultimately, an advisor. I highly recommend you pick up the audiobook version. Greshes reads the book himself, at the pace of a prototypical New Yorker and with the skill of someone who has spent the last 30 years giving speeches that have addressed hundreds of thousands of people around the world. Not only is his reading fun, captivating, and enjoyable, but it's also convincing because of the passion that only a 40+ year sales practitioner can pull off (which gets transferred to the listener). With that level of success, clearly, he’s qualified to help new salespeople. The most critical activity for any new salesperson’s success is prospecting. I’ve found that when building a funnel and learning the ropes, the most important daily activity is calling new prospects. Whether your marketing team provides you with enough sales qualified inbound leads or not, a new salesperson must spend a good portion of their day identifying and connecting with prospects. While it can be monotonous, as it involves a lot of repetitive and simple tasks such as dialing the phone (I do recommend you use a CRM dialer these days, by the way), salespeople must learn to love this activity if they want to be successful. And part of loving something involves getting good at it. Unfortunately, I find that a lot of rookie salespeople figure it out as they go -- or worse, they develop bad habits from their peers or (ineffective) managers. At this point in a salesperson’s career, they should be learning from experts. 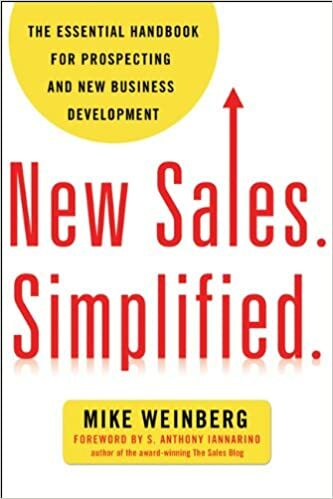 Mike Weinberg -- the top producer at three firms before writing this book and a trusted sales advisor to many successful sales organizations -- is an expert. In New Sales. Simplified. The Essential Handbook for Prospecting and New Business Development, Weinberg provides a clear framework for any salesperson interested in taking full control of -- and responsibility for -- the quality and quantity of qualified opportunities that enter the top of their funnel. Don’t get me wrong -- Weinberg is a straight shooter and he doesn’t let company leadership off the hook so quickly. He bluntly talks about the ways in which companies fail their salespeople by distracting them, not rewarding new business appropriately, and failing to arm their sales teams with a compelling story. (So don’t be afraid to drop off a copy of this book on your sales leader’s desk.) However, successful salespeople never blame their company for their own failure. And Weinberg arms them with what they need to know and do so they never find themselves searching for a scapegoat. Practically speaking, New Sales. Simplified. teaches salespeople how to identify good fit prospects, how to do the right research on them, and how to effectively connect. Once connected, the book teaches readers how to tell effective sales stories that highlight problems and pains as well as opportunities, and how to formulate related “Power Statements.” In short, Weinberg helps new salespeople learn how to communicate value to prospects in a way that will make them say, "I want that." I may have a soft spot for Dave Kurlan’s Baseline Selling for a few reasons: it was the first sales book I ever read; the sales assessment Dave Kurlan created helped me identify the sales weaknesses I needed to overcome; and Kurlan Associates’ training program taught me the skills I needed to be successful in sales. We all have non-family members that have measurably helped us achieve whatever success we’ve achieved. Dave is in my top five of this category. However, I’m not the only one who thinks very highly of Dave’s book. Hundreds of sales training organizations around the world recommend not just Dave’s books, but leverage his sales skills assessment. His sales training organization -- which teaches Baseline Selling -- is consistently ranked in the top 20, and his decades-old blog is one of the top sales blogs on the interweb. But, for the purpose of this article, let’s focus on why Baseline Selling is great for new salespeople -- like I was when I read it (for the first time). In short, Baseline Selling teaches salespeople how to spend their time with the prospects who are most likely to buy. It teaches the importance of having a sales process, achieving mutual qualification, and getting buy-in from prospects at every step of the process. Spending time with tire-kickers and being unaware of why and when a prospect will buy are two issues that plague new salespeople. Dave’s book helps rookie reps avoid these issues. How does it do this? Baseline Selling, unlike most other sales books, spells out how to run a full sales process from suspect to prospect to qualified to close. Dave uses a base path analogy from the game of baseball: first base (suspect), second base (prospect), third base (qualified), and home plate (close). If you love baseball, you’ll love Dave’s metaphors. In Baseline Selling, the on-deck circle is a way to prepare for selling, the infield why rule helps reps get to the root cause of problems, the suicide squeeze helps in addressing resistance, and speed on bases equates to a measure of salesperson credibility and trust. 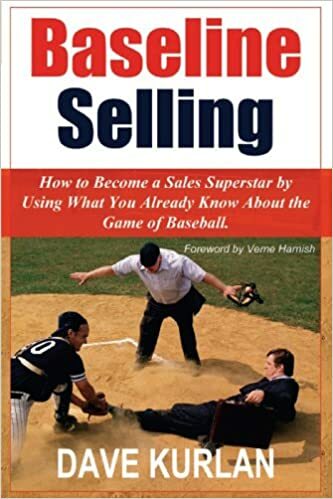 But even if you’re not a baseball fan, Baseline Selling outlines a very simple system that new salespeople can apply immediately, thanks to detailed tactical examples written in a conversational dialog format. Mark Gibson has written a great review of Baseline Selling and Evan Carmichael conducted an excellent interview of Kurlan, which is embedded below in case you’re interested in learning more. Baseline Selling also provides great reinforcement for the concepts in The Best Damn Sales Book and New Sales Simplified. As I was reading Greshes’ book, I felt like I was listening to Kurlan’s brother from another mother. Each author keenly understands what weaknesses and bad habits prevent sales success. 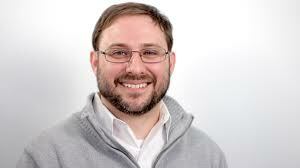 (And Dave, because of his assessment company, actually has the data to back it all up.) Like Weinberg’s "Power Statement," Kurlan’s positioning statements help salespeople position value and avoid feature and benefit dumps that lead to early rejection. Together, these books make an excellent trio for a new salesperson. All three teach the importance of goal setting and reinforce the activities required to be successful. If I could offer one piece of advice to new salespeople, it would be this: Don’t solely rely on your company to provide you with the training you need. Seek out training external to your company. Start with these three books, but also consider hiring an expert to help you. 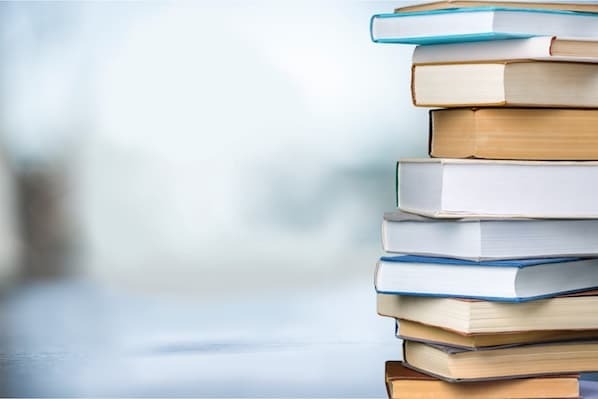 These books, the training I got from Kurlan, and the coaching I received from Rick Roberge set me up to be a successful individual contributor, manager, and sales leader. Have you read any of these books? How have they helped you? Are there other books you recommend for new salespeople? Please share in the comments.